Jung-Min (Kim Sung-Cheol) falls in love with her. She is his first love, but his love is unrequited. She is in a difficult situation, but she keeps pursuing her dream. Am Dec 10 2018 3:53 am Tiramisu Cake! Tiramisu Cake! Love all the songs in this drama, and Tiramisu Cake is so catchy it stays in my head for a long time. This is a short, sweet and warm drama. I love the cast, especially the relationship between the male lead and his sister. It was so adorable. Amberle Dec 10 2018 2:02 am Tiramisu Cake! Tiramisu Cake! That darn song refused to get out of my head after I watched this drama. But seriously, I love all the songs played here. And the drama itself is so adorable and sweet. Love it. diwaiji Aug 31 2018 11:24 am Aghhhh im dying from cuteness overload from thia drama TT and tiramisu cake!!!!! Cipa Aug 25 2018 9:52 am Cute!!!!!!! I need more ? shhasha Jul 28 2018 11:49 pm the drama was really good! i’m not the type to like cheesy things so i kinda cringe at those moments lol but it was super cute. [kinda spoiler synopsis?—>>>] i love the whole story overall it’s more of overcoming your fear and showing to the world what you are capable of with the help of your family and close friends. also jung chaeyeon and kim sungcheol acted and sang really well. looking forward to their future acting works!! 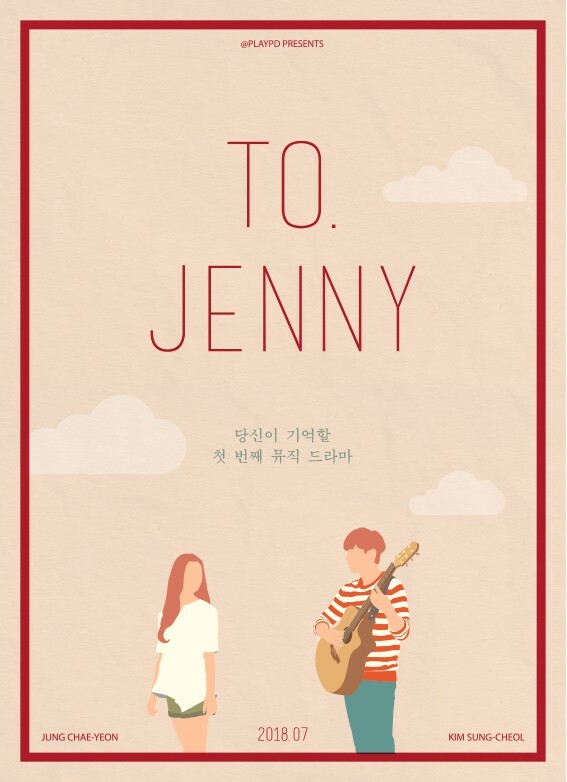 Kimly_ Jul 27 2018 5:06 pm This drama has a great story ,All the music is beautiful and easy listening.. i love the song "Tiramisu cake" and "Grab me"?? Wesley Gibson Jul 27 2018 6:10 am Maybe this is my fav drama of 2018 so far. Alba Jul 25 2018 2:57 am Ooooohhh! I need more. Sandes Jul 21 2018 4:09 am Aaaa..... very good drama. After moon lover my second favorite drama.l wanna see both lead in another drama.became big fan after this drama. Jantri Jul 20 2018 7:40 am I love the soundtracks beside the good story. fyr Jul 20 2018 12:11 am I think it's better with 2episodes but with a really really good story>.<?? boytakoyaki Jul 19 2018 5:35 am the besttt, waiting for another drama from the both of them~~! JPNesefan Jul 17 2018 6:43 pm EP 2 is todayyy, cant wait!! javz bolads Jul 13 2018 10:10 am Chaeyeon's acting really improved a lot, She really portray her character so well..more drama for Chaeyeon! Intanazz Jul 12 2018 2:29 pm Omg!! I just watched ep 1 ang it's sooo good! Can't wait for ep 2!! Kim sungcheol voice is so beautiful! Zieta Jul 11 2018 3:06 pm Why I did not know he can sing??!! Woaahhh im falling in love with him!!!! Taeyeon is my universe Jun 23 2018 11:11 pm Chaeyeon Fighting !!!! Risyacha Jun 20 2018 12:52 pm Omg he is beobja in prison playbook!!! Can't wait to see him in new drama. His acting in his debut drama are really good! But what's with the female lead? 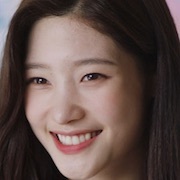 Jung chaeyeon?